Camp Daniel is an organization dedicated to providing people with disabilities opportunities for personal, social and spiritual growth. Camp Daniel is rooted in its summer camping program that offers people with disabilities access to safe and fun Northwoods camping experiences, where the physical, social, and spiritual needs, that each person’s disability requires, are lovingly met. Through each week of camp, the dedicated staff at Camp Daniel works toward imparting the belief that each of us have value and been given gifts to offer others. Each camper and volunteer participates in a multitude of activities designed to reinforce the concept of our need for each other and the value of our differences. Throughout the rest of the year, Camp Daniel and its staff oversee many activities that further this concept of a dependent community of people with and without disabilities. 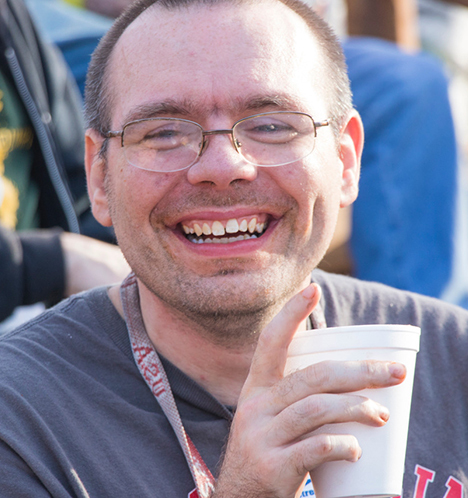 Programs such as The Able Attack Special Olympic Teams, Able in Action service projects, dances and retreats all foster social and personal growth. Each week many of those who participate in the other Camp Daniel programs, come together at The Able Church to grow closer to God and each other, while professing the simple truth that God loves us, God made us, and God has a plan for each of our lives.